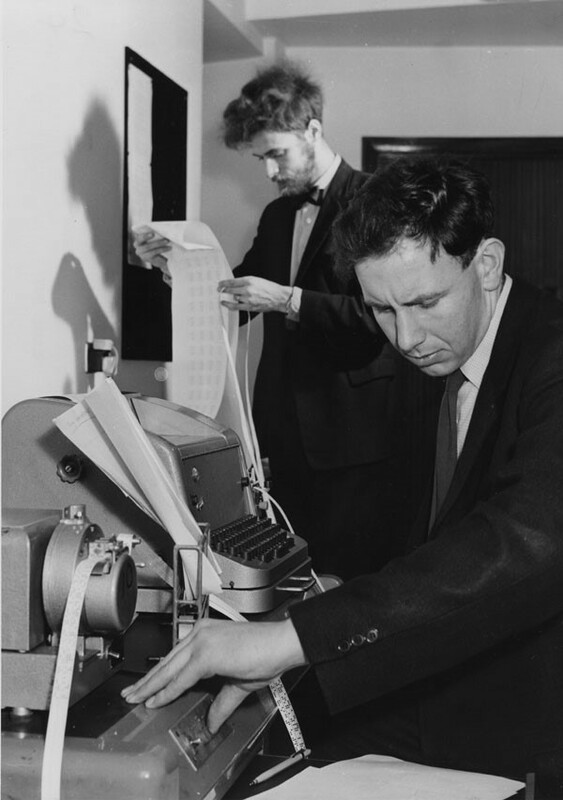 Students working in the Statistics Machine Room of the London School of Economics in 1964. By London School of Economics Library and Political Science [No restrictions], via Wikimedia Commons. A parade of repatriated antiquities have made their way back to Italy from the United States in the last few months, highlighting a damaging lack of information on stolen and looted art that should be publicly available. Without it, it is unnecessarily difficult for museums and the market to determine whether items in their collections are legal to possess. A U.S. library, a museum and two New York galleries have all found objects in their collections to which Italy claims possession. The problem? The current owners had no way to access the information that identified items as missing or stolen. Proper due diligence requires access to complete information for verification of provenance. Yet the same records that authorities make available to private researchers tracking down suspect art and antiquities, is not available to auction houses, art galleries, and museums, which therefore can’t do due diligence to discover if the items are illicitly acquired. 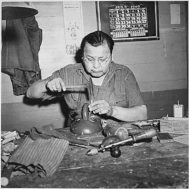 While raids and seizures are dramatic and make headlines, in reality it is usually the research done by museums, libraries, and collectors – on their own or in collaboration with source countries, that results in the discovery of items that should be repatriated. For example, the Boston Public Library recently questioned the provenance of three of their Italian manuscripts and later discovered that they were indeed stolen. 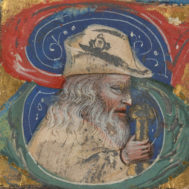 Two Venetian religious manuscripts from the late 14th and early 15th centuries were stolen sometime after 1940. A collection of works by Bernardino Telesio from Sicily was also acquired illegally and had later been sold to the Boston Public Library. In addition to the Boston Public Library’s own team, officers from Italian and U.S. law enforcement, as well as U.S. Homeland Security Investigations were involved in the return of the manuscripts in April 2017. The recent repatriation of an Italian marble statuette of an enthroned Zeus, from around the 1st century BCE, is another example of a collaboration between a source country and a U.S. museum to return an object to its country of origin when its acquisition is questioned. The statuette had been in the Getty Museum in Los Angeles since 1992 when it had been acquired from the collection of Barbara and Lawrence Fleischman. As reported in the LA times, “The Getty’s policy is that when a foreign government submits compelling evidence that an object in its collection was put on the antiquities market illegally, the museum will seek to return the object.” In this case the “compelling evidence” was a missing piece of the statue found in Naples and matched to the Getty’s statuette in 2014. The Getty matched the two pieces, and agreed to repatriate the Zeus statuette in mid-June. Who does have access to police files that make additional discoveries possible? Christos Tsirogiannis, a forensic archaeologist who specializes in researching looted and stolen antiquities, was recently lauded as the driving force behind the recovery of a stolen Etruscan vessel to Italy. Dr. Tsirogiannis’ website states that since 2007, he “has been identifying illicit antiquities, depicted in the confiscated Medici, Becchina and Symes-Michaelides archives, in museums, galleries, auction houses and private collections.” In mid-March, he contacted the Manhattan district attorney’s office to alert them to a vessel at the Royal-Athena Galleries whose image he located in a non-public archive. The authorities promptly seized the vessel, which the gallery forfeited willingly, and returned it to the Italian consul general in New York. On the surface it appeared that the gallery hadn’t done its due diligence. In reality, Tsirogiannis, who calls himself a “hunter of illegal antiquities” had access to information that the gallery could not obtain. Police officials in Italy have given access to restricted databases of photographs and documents of antiquities from the inventory of dealers that were seized during raids only to such “friendly” anti-trade activists. They have not made them publicly available. Yet the police have had the information for decades; the Medici archives were seized in 1995, the Gianfranco Becchina archives in 2001, and the Symes-Michaelides archives in 2006. Thus, even public institutions such as museums have been denied access to information they need to make informed decisions on acquisitions – and the excuse of “antiquity-hunters” is that if the information is made public, looted and stolen items will be hidden away. The flaws in Tsirogiannis’ logic are obvious –there is no hiding a known illicit object. 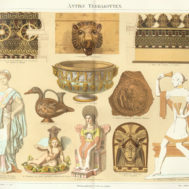 A known illicit object will always be illicit – delaying identification simply allows people like Tsirogiannis to grab headlines and play a disingenuous game of “Gotcha!” with museums and market participants, who, if given access to the archives, could have identified suspect items ten or even twenty years before. Interpol’s stolen art archives are publicly available; why not Italy’s Carabinieri’s?